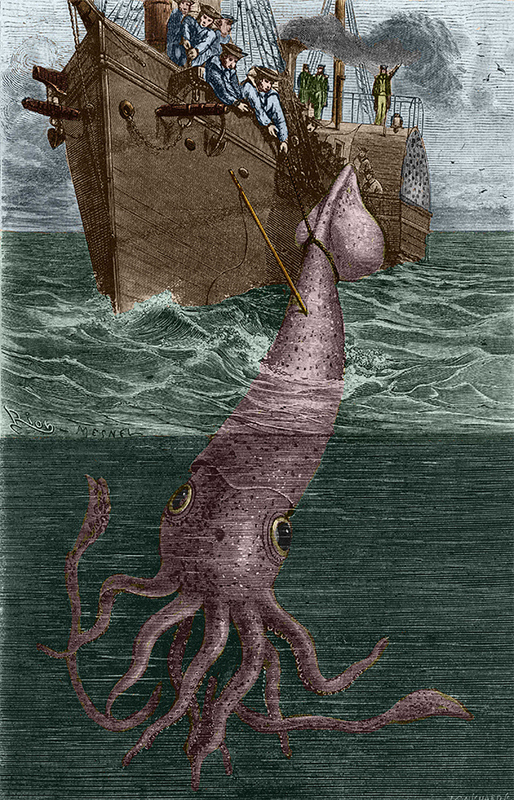 The largest extant squid species, and a denizen of the deep ocean, the colossal squid has all the makings of a colossal nightmare. While little is known of this beast, whose first confirmation came from two tentacles in a sperm whale stomach, the only two full specimens ever caught revealed terrifying and unique features. The squid has swiveling hooks on the tips of its fearsome tentacles, eyes the size of dinner plates, and an estimated maximum size of 46 feet according to National Geographic. One explanation for their massive size is abyssal gigantism, or the phenomena where animals inhabiting the deep tend to grow larger than their shallow-water relatives.